SureDone’s Auto MCF (Multi-Channel Fulfillment) will allow you to process an order for any FBA (Fulfilled by Amazon) products that has stock at the time of purchase and order from any channel in SureDone. To use this feature, you have two options and they’re detailed below. 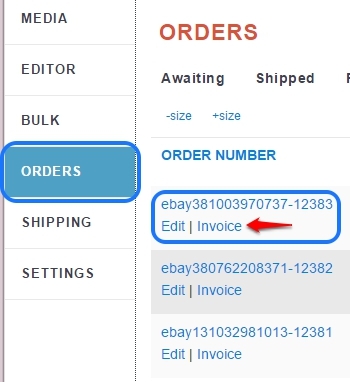 To fulfill items, simply go to Orders and click Invoice on an individual order as shown below. Once there, click on the “Fulfill with Amazon” button instead of the “Process Shipment” button. 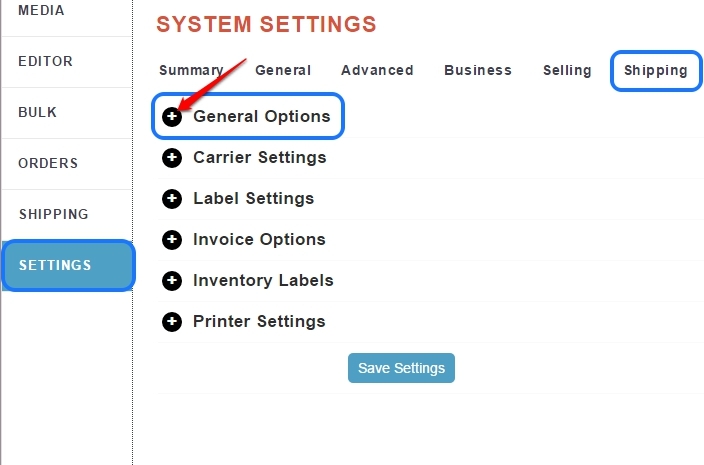 You will also be able to choose how you want the order shipped in the “Shipping Speed” drop-down box. The second option will enable MCF to be fully automated. The system default for MCF is disabled. 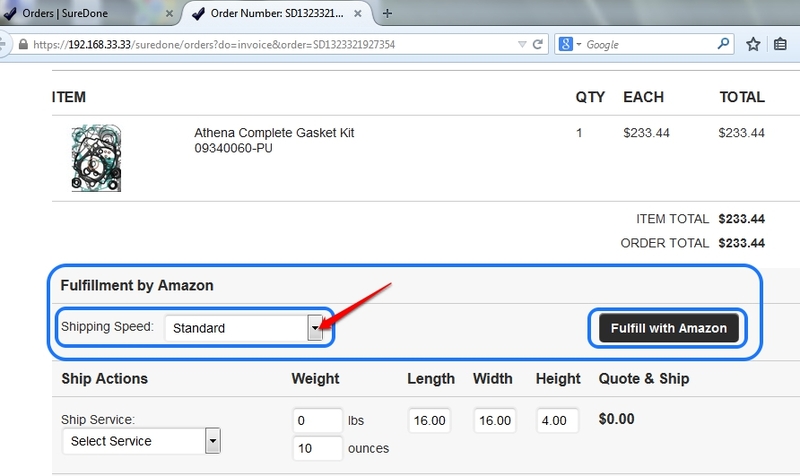 When disabled you will need to process orders at the order level shown above or as usual. If you enable MCF at the system level, SureDone will periodically check and process any FBA order that meets certain criteria (see note). By turning this feature on, it will become a completely automated process. Note: All items must be FBA and Amazon must have them in stock in order to be processed via SureDone. 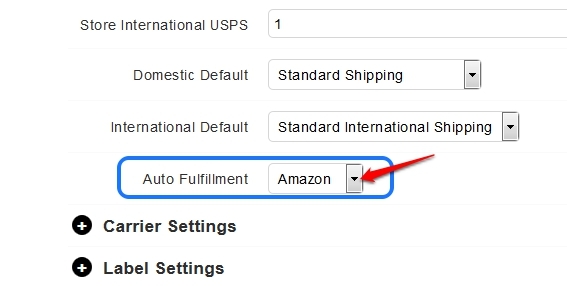 Once the General Options open, scroll down to Auto Fulfillment and Select Amazon. To turn it off, do the same but choose disable.